The World Series started this week, with the Kansas City Royals facing the San Francisco Giants. If you follow Ken on Twitter, you know he’s rooting for the Royals. In Washington, the Republicans are hoping, and are favored, to win control of the Senate. So this week’s question is: When was the last time the American League team won the World Series the same year as the Republicans took control of the Senate away from the Democrats? Last week’s trivia question was: Larry Pressler is running for the Senate in South Dakota this year. Eighteen years ago he was defeated for re-election to his Senate seat. Who is the last senator to lose his bid for re-election in the general election and then come back in a later cycle and return to the Senate? 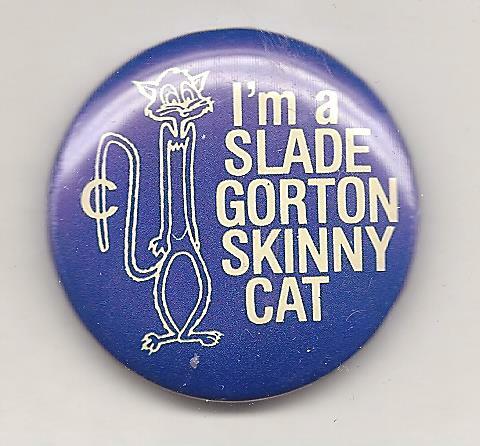 The answer is Slade Gorton. The Washington Republican was beaten by Brock Adams in 1986. He came back two years later to win the seat being vacated by Dan Evans, and held the seat for two more terms. This week’s winner is Douglas Fisher of Rochester, N.Y. Douglas is a double winner: He got to see our Political Junkie Roadshow last month in Rochester. And now he gets that valuable Political Junkie button!